50% OFF! 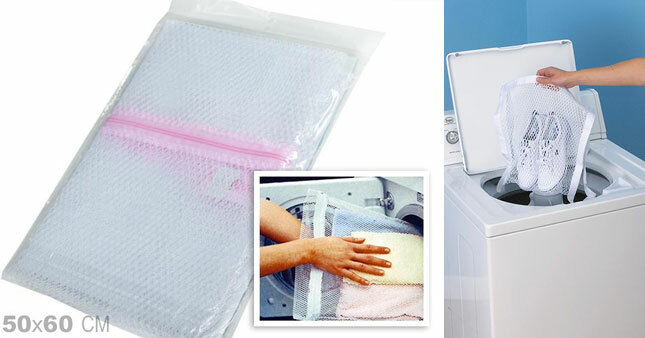 Protect Your Fine Clothes with Washer, Zippered Mesh Bag worth Rs. 280 for just Rs. 140! When hand washing is not an option, protect your delicates with this wash bag from Household Essentials. This mesh bag with nylon zipper helps protect delicate fabrics washed in a machine by placing a barrier between them and rougher surfaces in the load. Keep lace intact, straps unstretched and fabrics unsnagged. Hang delicates out to air dry and no one will ever know you've left hand washing behind. Measures: 50cm X 60cm. Larger Mesh to Ensure That Your Garments Get Clean. Voucher is valid only for one Washer Bag.